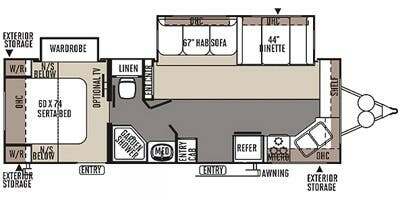 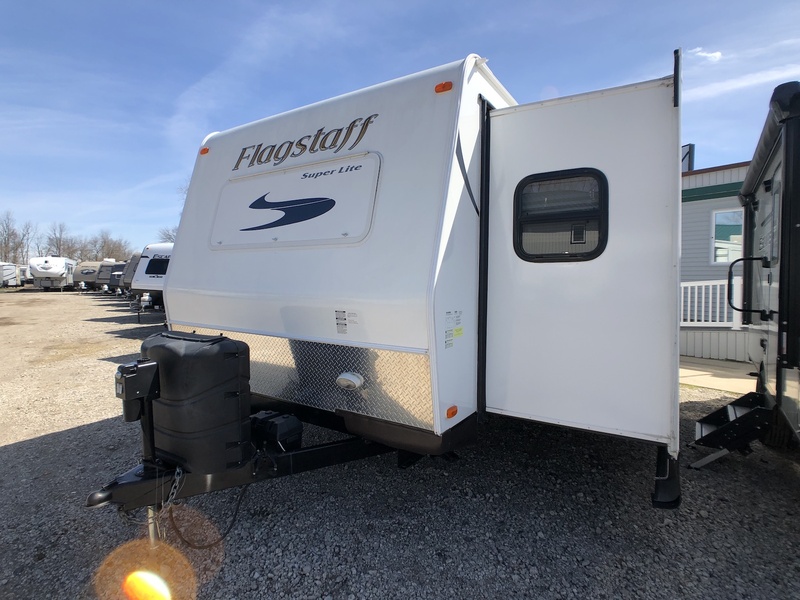 This 2014 Flagstaff 26FKWS is a front kitchen double slideout Fiberglass travel trailer. 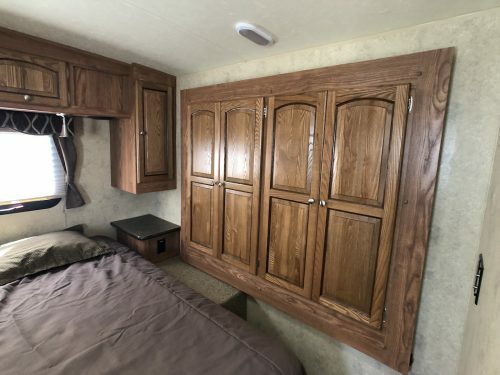 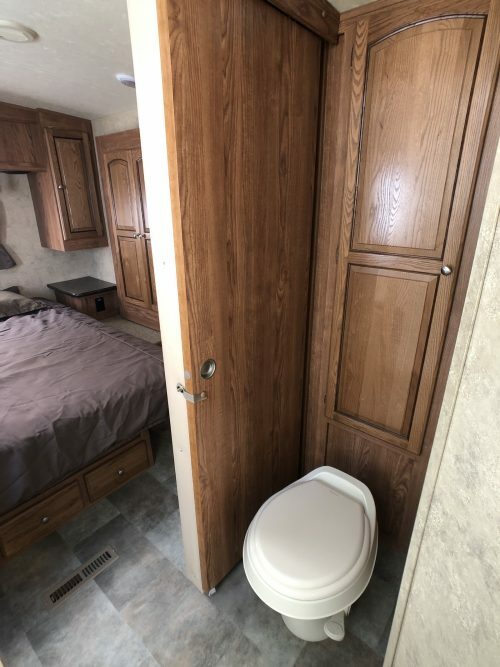 When you enter the Flagstaff the front of the 26FKWS has a large kitchen with plenty of storage. 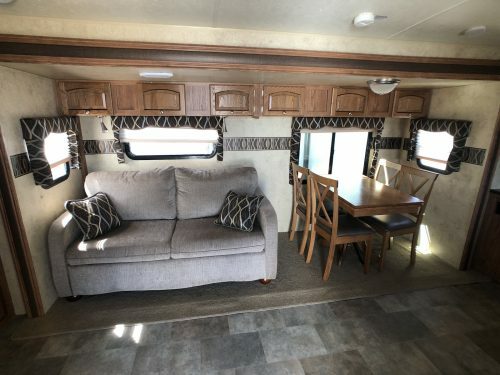 The Main slideout sits in the living area with a table and 4 chairs and a sleeper sofa. 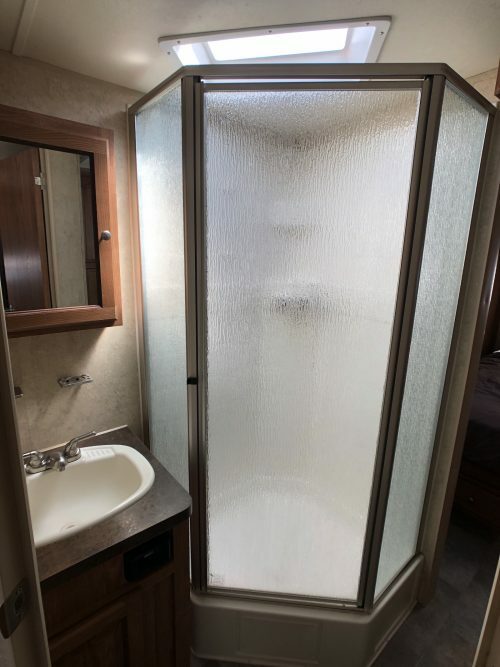 The Bathroom sits in the center of the Flagstaff with a large glass shower, foot flush toilet, and sink. 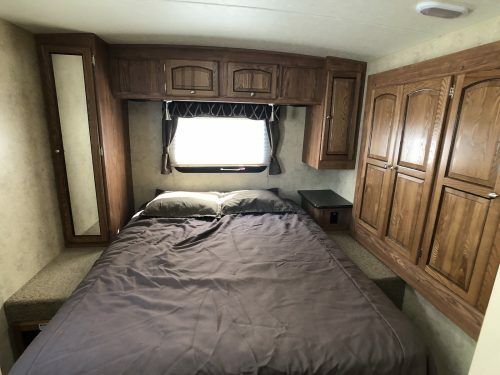 The master bedroom in located in the back of the 26FKWS with a queen walk around bed along with a wardrobe slide out. 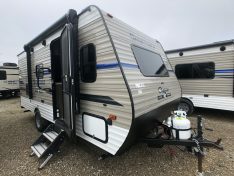 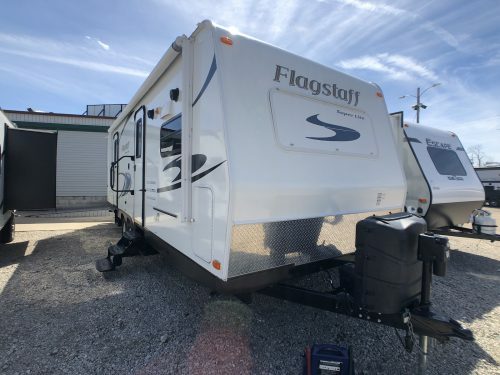 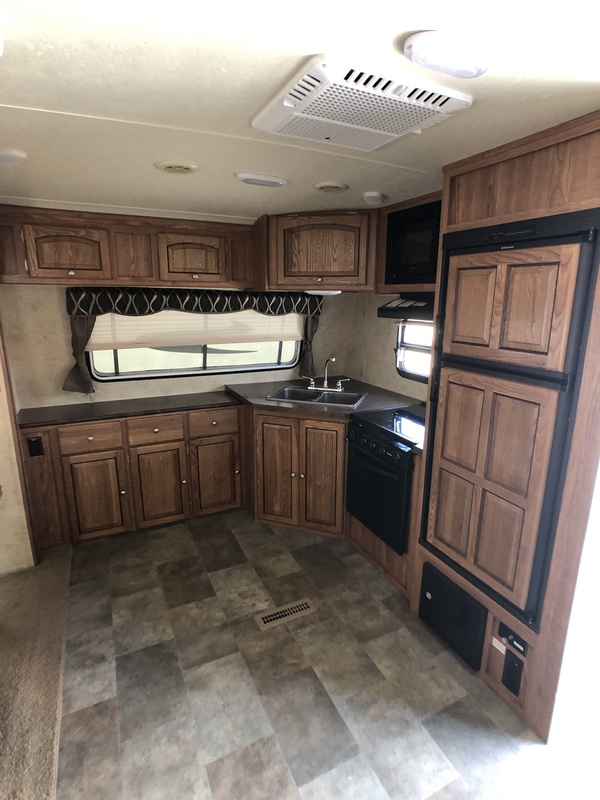 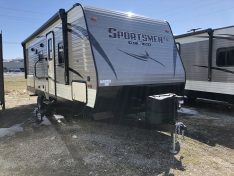 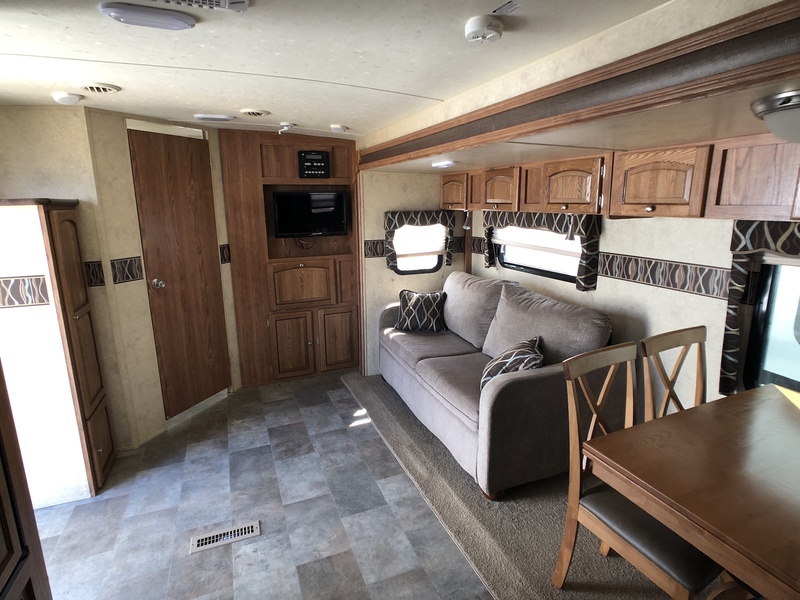 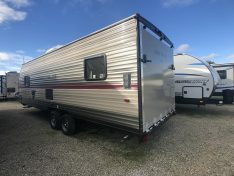 This unit is in great shape and half-ton towable, stop into Tri City RV today to take a look at this 2014 Flagstaff travel trailer.